Media are reporting this since six hours now, so it really is confirmed. If this is a criminal gang, and it probably is, they are holding her for ransom, and they are not going to kill her. They may be counting on the emotional effect and relief of suddenly revealing that she is alive to produce the desired money. The other question though is, if that is not her in the video, who did they kill? Or else the whole operation has been a major stuff-up! Has she been confirmed dead? I feel so sorry for her, especially as she was trying to help people. It must be absolute hell being held captive over there. Especially with the macabre way they do their executions. It is terrible. There hasn't been any new information since last week. So at this stage we don't know whether she's dead or alive. The requiem mass for Margaret Hassan was a chance to honour a life of peace and selfless dedication that ended with such brutality. Family, friends and work colleagues were joined by row-upon-row of strangers in the 2,000-plus congregation at Westminster Cathedral, with many more forced to stand. They had followed news of her October abduction and her apparent murder, and came to pay their respects, to show her loved ones they were not alone in their grief. Before Saturday's service, they knew her from the videos, broadcast around the world, that showed the aid worker in captivity in Iraq, weeping and begging for her life. But inside the majestic cathedral, as shafts of light pierced the clouds of sweet-smelling incense, they learnt about Margaret Hassan the woman. She was the wife, the sister and the aunt. She was known in the slums of Baghdad, by the people she worked tirelessly to help, as Madam Margaret. Full of ritual, emotion and solemn dignity, the service was a traditional Catholic funeral mass. It included the cathedral choir's singing of the haunting Mass for the Dead in Latin as they progressed through the congregation to the front. But there was one poignant difference - a picture of Margaret cradling an Iraqi child lay by the altar instead of her coffin, as her body has still not been found. Cardinal Cormac Murphy-O'Connor, the Archbishop of Westminster, who led the service, said: "The family will continue to mourn but they'll know that, before God and before the church, all the proper rites have been performed." During his sermon he said: "She was gentle, private, brave, loving and compassionate. She was a peacemaker in a time of seemingly endless wars. "She hungered and thirsted for justice for the Iraqi people. She was persecuted - brutally slain - because she was working in the cause of right." Margaret Fitzsimons was born the eldest of five children in Dalkey, Co Dublin. By the time of her death at the age of 59, she had Irish, British and Iraqi nationality and took her husband Tahseen's surname Hassan after their marriage in 1972. He was too ill to attend the service. She had spent 30 years in Iraq and became the director of Care International's operation in the country. As the congregation heard during the service, which was sign-interpreted for the deaf, Mrs Hassan chose to stay before, during and after the allied invasion when she could have returned to safety. Patrick O'Ryan-Roeder MBE, a family friend, told the congregation: "Her contribution to the Iraqi people, especially those vulnerable members of society, was huge. "She was not a person to seek rewards for herself, indeed she frequently spent her own time and money, to help those that she knew could not help themselves. "Life is one opportunity. Margaret never wasted one minute of that opportunity." Outside, he read a tribute to Margaret from her family, and paid his own tribute to her relations, saying they had "left no stone unturned in their quest to secure her freedom". The cardinal said he "did not hesitate" to describe Margaret as a martyr. "The word means witness. Margaret witnessed, in both her life and death, to the act of loving," he said. And as one simple tribute in the order of service said: "The world needs more people like this lady." 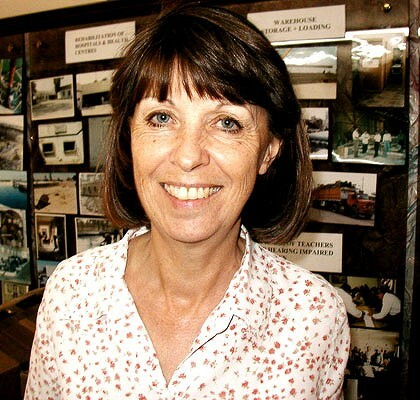 Margaret Fitzsimons, aid worker: born Dalkey, Co Dublin 18 April 1945; Director for Iraq, Care International 1992-2004; married 1972 Tahseen Hassan; died Baghdad c. 10 November 2004. Visiting Baghdad some years ago, before the deadly United Nations sanctions had been lifted in early 2003, I was taken by Margaret Hassan, Director for Iraq of Care International, in her four-wheel-drive into a slum area of the city to be shown one of her current humanitarian projects. She drove me through a side-street six inches deep in raw sewage. The local people were hopping from rock to rock or balancing on bits of wood to pass through the ugly spill. We stopped outside a government clinic specialising in the health of local women and their children. The sewage had seeped into the building where women were standing in a queue holding babies or with children wrapped around their legs. The smell was unbelievable, made worse by the prevailing gloom in the absence of electric power and the grim filth on the walls. Hassan walked in and was immediately recognised and warmly greeted. I met one of the nurses and the harried doctor trying to provide medical care to children endangered by bad water, and in many cases malnourishment, including acute malnutrition. It was not the place for healthcare to thrive. Following words of encouragement to the doctor and his staff, and smiles and warmth extended to the patients, Hassan drove me 300 yards to a building in the final stages of construction. Here, on high ground, was a nearly completed health clinic, with areas created outside for essential shade and inside seating for waiting patients and the beginnings of new equipment for real medical care. The building had a good water supply, toilets, electric light with back-up generation - all the things that Iraqis had taken for granted before UN sanctions were imposed in 1990, just as we do today in London, Dublin or New York. This was the kind of work that Margaret Hassan accomplished with Care's annual budget of $7m. In contrast, when I headed up the UN Oil for Food Programme, using Iraqi oil revenue, we had $4bn gross per annum and, although the programme fed some 20 million people, we were not able to accomplish such tangible results for the poor of urban Iraq. Due to the US and UK prohibitions, I was unable to use funds for development or capital projects that were so badly needed and which Hassan and Care were able to provide. Instead, the twisted logic of UN sanctions served to sustain the Iraqi government and punish the innocent people. Margaret Hassan was snatched from her car as she was being driven to work in Baghdad seven weeks ago, on 19 October. A series of harrowing videos of her was released by her kidnappers, the final one apparently showing her being shot in the head. After analysis of the tape, the British Foreign Office announced on 16 November that she had "probably" been murdered. Today at 12.30pm the Archbishop of Westminster, Cardinal Cormac Murphy-O'Connor, will preside at a Requiem Mass for Hassan, who was a lifelong practising Roman Catholic, to be held at Westminster Cathedral. "No body has been found, and the family do not expect it to be found," the Cardinal's office has said, "which is why this is a Requiem Mass rather than a funeral." Margaret Hassan had been living in Baghdad for over 30 years, having settled there in 1973 with her Iraqi husband, Tahseen Hassan, whom she met in 1970 when he was a manager at Heathrow airport. They married two years later. Born Margaret Fitzsimons in Dalkey, Co Dublin, in 1945, she was the eldest of five children, the others, a boy and three girls, being born in London after the family moved there when she was four. They lived in Shepherd's Bush and she was educated at Cardinal Manning secondary school. She worked in a solicitor's office before joining the Grail, a secular organisation for Catholics in Pinner, involved in ecumenical and welfare work. She spent three years with the Grail, going to Lebanon when she was 20 with three other Grail women to set up a project to aid Palestinian refugees. The four shared a flat in Beirut until Margaret moved out to live with a poor family in a concrete hut in the refugee camp itself. She only came back to England after being driven out by the Six Day War in 1967. At the time she and Tahseen Hassan met, she was working in community projects in London, having trained as a youth and community worker in Leicester. When they moved to Iraq, Tahseen to run Alitalia's Baghdad operation, she worked for the British Council, first as a part-time English teacher, later becoming director of studies at its language school. With Saddam Hussein's invasion of Kuwait in 1990 and the first Gulf war, both Alitalia and the British Council closed. Margaret Hassan, now a fluent Arabic-speaker and an Iraqi citizen, found her mission in Care International. 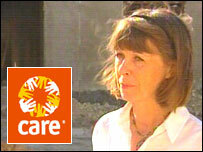 Care was the only international non-governmental organisation to maintain a continuous presence in southern and central Iraq after 1991, doing so until 28 October 2004, when, following Hassan's kidnapping, it closed down its operations. It concentrated particularly on children, and on projects involving water, sanitation and health. As Care's Director for Iraq, "Madam Margaret", as the children knew her, had a staff of 60. Apolitical and willing to work with everyone, whether Iraqi government officials, local and overseas NGOs or those of us in the UN family of agencies, Hassan was able to get to the core of the crisis: what was needed was clean water and simple healthcare for the urban masses. With commitment, drive and an impatience with fools and bureaucrats, she set about making things happen in a country where progress was hard to achieve. This was a period - still ongoing in the post-war occupation - when the majority of children who died under UN sanctions did so not because of starvation, but because of water-borne disease. Simple diarrhoea, dysentery and other water-related health problems killed the children, already suffering acute and prolonged malnutrition. Care installed generators and pumps for potable water in small towns and slum areas throughout the country, saving tens of thousands of lives. Hassan's work was critical, and provided the model, both in terms of caring and bricks and mortar, that others tried to follow. She was demanding and aggressive when it came to the needs of the poor, resenting the time wasted meeting VIPS that could have been spent on delivering projects. She was a living dynamo who drove, led and inspired others to respond to the human needs - the basic human rights - of the Iraqi people. In the run-up to the American-led invasion in spring 2003, Hassan was one of several international aid workers who voiced their concerns to the UN and the British parliament: "The Iraqi people are already living through a terrible emergency," she said in a House of Commons briefing in March. "They do not have the resources to withstand an additional crisis brought about by military action." She stayed on in Baghdad throughout the war and its aftermath, despite the increasing risks for Westerners. The mystery of who kidnapped her has not been solved. She had played an invaluable role in the lives of many urban poor. The demonstrations in the streets of Baghdad in the week following her kidnap showed the love and appreciation that she instilled in so many. Iraq, her family, the NGO community and all of us who want to make a difference in our own lives with respect to people struggling under cruel circumstances have lost an extraordinary person. Margaret Hassan gave her time and ultimately her life to Iraq and its suffering children and their mothers. We now must celebrate her life by trying to follow - with our small feet in her very large shoes. British aid worker Margaret Hassan, who was taken hostage in Iraq last year and is believed to have been slain by her abductors, has been awarded Ireland's most prestigious peace prize. The Tipperary International Peace Prize award, previously won by former presidents Nelson Mandela, Mikhail Gorbachev, and Bill Clinton, will be received by relatives on behalf of Ms Hassan in April. "The peace convention salutes the extraordinary life of a Dublin-born aid worker," the Tipperary convention said in a written statement. "She showed extraordinary courage, tenacity and commitment in her concern for those who were living in the most difficult of circumstances," the statement said. Ms Hassan, head of CARE International's Iraq operations, was seized in Baghdad on October 19 while on her way to work. Al Jazeera satellite television said on November 16 it had received a video showing the execution of a man shooting a "blind-folded woman, who appears to be Margaret Hassan". Although her body has never found, British officials say they believe she has been murdered. Ms Hassan, born in Dublin of British nationality, had lived in Iraq for over 30 years and was married to an Iraqi. Thanks Ms Olga. She was worthy of the award before she was even kidnapped, let alone killed. The family of murdered charity worker Margaret Hassan have expressed their anger at a Baghdad court decision to free two of the three men charged in connection with her kidnapping and killing. In a statement released today, the family said they were "devastated and appalled" by the court's decision to find Mustafa Salman not guilty of murder and to free Muhssin Ahmed and Qassim Muhammad. The statement said: "Mustafa [Salman] was found guilty of 'joining the group who kidnapped Margaret'. "This man was found with Margaret's personal belongings. He had used her mobile telephone up until the eve of her death, to make demands of her husband Tahseen. "He admitted to the Iraqi police that he had interrogated Margaret. Why was he not found guilty of murder? He is now entitled to appeal against this sentence and may be free within months." The British and Iraqi governments should hang their heads in shame over the murder of the kidnapped aid worker. "Tahseen had been told by the British that they would not speak to the kidnappers." An Iraqi man was convicted yeserday of the 2004 kidnapping and slaying of British aid worker Margaret Hassan and was sentenced to life in prison. Hassan, 59, was one of the highest profile figures to fall victim to the wave of kidnappings that swept the country as the insurgency was gaining traction. Shortly after her abduction, a terrified Hassan was shown on a video pleading for her life and calling on then-British Prime Minister Tony Blair to withdraw troops from Iraq. She was killed a month later. The presiding judge handed down the sentence against Ali Lutfi al-Rawi after a one-day trial in an Iraqi court in Baghdad. He faced charges of kidnapping, murder and extortion. The defendant, who had pleaded not guilty, showed no reaction as he was led away by guards after the sentencing. Al-Rawi, a 36-year-old Sunni architect from Baghdad, was the second suspect charged as part of a gang believed to have kidnapped Hassan, who was the director of CARE International in Iraq. He was captured in March 2008 after he allegedly phoned the British Embassy to demand $1 million in exchange for information about the location of Hassan's remains, which have never been found. Presiding Judge Asaad al-Moussawi said al-Rawi had confessed to the charges and asked him why. Al-Rawi, wearing a brown jumpsuit and standing in a wooden pen, claimed he had been beaten and given electrical shocks during the interrogation and had been forced to sign papers without viewing their contents. "I have nothing to do with Hassan's abduction and I did not see or talk to her," he testified. The Dublin-born Hassan was married to an Iraqi and had lived in this country for 30 years, spending nearly half her life helping Iraqis. She had joint British-Irish-Iraqi citizenship. Her sister, Deirdre Fitzsimons, expressed hope that al-Rawi would now reveal the location of Hassan's remains to allow for a proper burial. "My sister was a Catholic and it would be her wish to have a proper Christian burial." Fitzsimons said. "However much she loved Iraq, she always wanted to be buried in this country. That is what we want to do for her." Ramzi al-Bawi, the lawyer representing Hassan's family, called the outcome "as fair as can be expected in view of the strong evidence against the defendant." In June 2006, another Iraqi man, Mustafa Salman, was sentenced to life in prison for helping Hassan's kidnappers in what was believed to be the first conviction in Iraq in the abduction of a foreigner. Two others were acquitted at that time. Kidnappings of Westerners reached a crescendo in 2004, forcing foreigners to flee Iraq or take refuge in heavily guarded compounds and diminishing the ability of aid groups and journalists to operate. Many of the victims were butchered and their deaths recorded on videotapes distributed to Arab satellite TV stations or posted on militant web sites. And doesn't 2004 seem such a long time ago? Margaret would have been 64 years old now, if she was still alive. What a tragic waste of a good life.